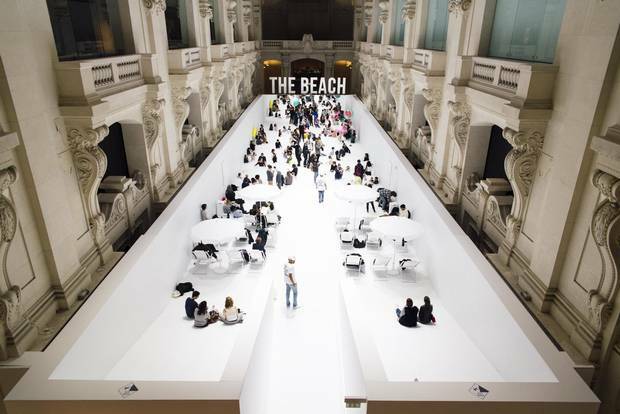 Along with her mother Colette Roussaux, Sarah Andelman created buzz for their Paris boutique through pop-up events like The Beach (above), unique window displays and a quirky mix of merchandise. 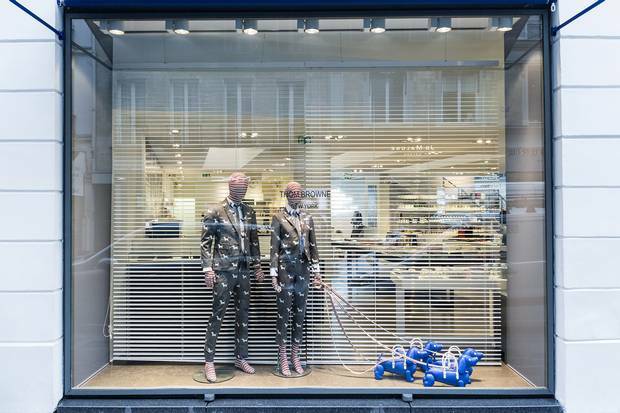 By the time you read this, the number of remaining window displays at Colette will be in the single digits. For 20 years, the pioneering Parisian boutique has disrupted the stodgy retail paradigm through a steady stream of exclusive launches, creative collaborations and unpretentious cool – mostly teased through the windows at 213 rue Saint-Honoré, reimagined nearly every Sunday. (Over two decades there have been more than 2,100 displays.) Since July, when Colette's owners revealed that it would be closing on Dec. 20, every remaining tableau has been overshadowed by the sentimental reality that, soon enough, the inspirational shop will be no longer. In September, I passed by the store on a Sunday knowing that Colette Roussaux, who bought the two-storey space in 1997 after selling her fashion store in the city's Sentier garment district, would be overseeing the weekly window reshuffling. Her daughter, Sarah Andelman, whose combined creative and commercial instinct makes her among the most valuable allies in retail, usually also spends part of the day there, often setting up an art installation in the upstairs gallery. Following the announcement, which was posted on Instagram and attributed the closure to Roussaux's retirement, the duo have communicated little to the public. In a brief, spontaneous exchange outside the store, however, Andelman was lighthearted though tactful about the future, revealing that she would like to remain connected with the designers, brands and creative contributors she has supported. Over two decades there have been more than 2,100 displays at Colette. "I hope we will continue to work [with the industry] in a different way, one way or another," she says. "It's true it won't be classic buying, but I am sure we will keep in touch." As for upholding the window-dressing tradition until the very end, Andelman says, "Normally I keep some flexibility, but at this point, they are all booked." For this early fall edition, Andelman reached out to Anais Mak and Benny Woo, co-founders of the elevated ingénue label Jourden. They flew in from Hong Kong where they are based to set up a "vending machine in space" concept in which they placed mannequins wearing a capsule collection that featured Colette's signature blue – Pantone 293c to be exact – plus embroideries that echoed the store's double dot logo. For the emerging brand, the early visibility and validation from the ne plus ultra of independent retailers was a measurable boost to business. "When Colette picked us up, that was a really big break; we had less than 10 stores carrying Jourden and now we have grown to 40 locations – and that was within two years," says Mak, whose designs were nominated for the LVMH Prize in 2015. "I started off just as an admirer and consumer, and right now it's surreal to be here on a Sunday." Asked how she felt about the closing, Mak replied, "It's heartbreaking for me, honestly. Sarah is one of the only retailers who really understands the intention of each collection. 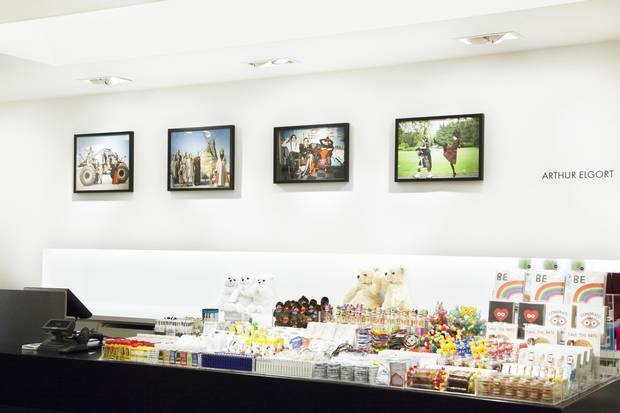 Even if it's a really small curation, it's accurately translated on the shop floor." An article in The New York Times reported sales of €28-million between Colette’s sole Paris location and its online store. Luke Meier, who has known Andelman since his involvement with cult label Supreme and has continued to work with her through the launch of his label, OAMC, expresses similar respect. "Sarah is a rare kind because she has always done everything in a personal and honest way. She curates the store by presenting only the things she is interested in. The store is a place that truly encourages people to meet and exchange," says the designer, who grew up in Vancouver. "It's really a community and something that will be extremely difficult to replace." Colette will be saying au revoir on a high note. An article in The New York Times reported sales of €28-million between the sole Paris location and its online store. The plan is for Saint Laurent to move into the space. As tenants go, the fabled French maison would uphold the cachet of this prime corner. Still, it's hard to imagine the same level of energy – the fans hovering outside for a glimpse of Drake, Future or J Balvin stopping by for their own enjoyment; the near-daily scheduling of book signings, beauty demonstrations and family-oriented activities; the sneaker geeks lining up hours before the store opens – once Colette is gone. Lucien Pagès, the Parisian public relations powerhouse whose eclectic roster currently includes Loewe, Sacai, JW Anderson, Julien David, OAMC and Olympia Le-Tan (all carried at the store), is adamant that we should not mourn Colette's departure, even while he contemplates how to ensure that his brands have a similar platform in the future. "This is the story of two independent women who built something; and they will close it as they built it – with the same elegance and radicalité. So that's why I'm not sad. It was their choice," he says. And knowing them, they won't sign off without making one last splash.